New trailer and poster for the famine era drama. The western may be the most American of genres, but numerous other cultures have given us their own distinctive riff on the genre over the decades. 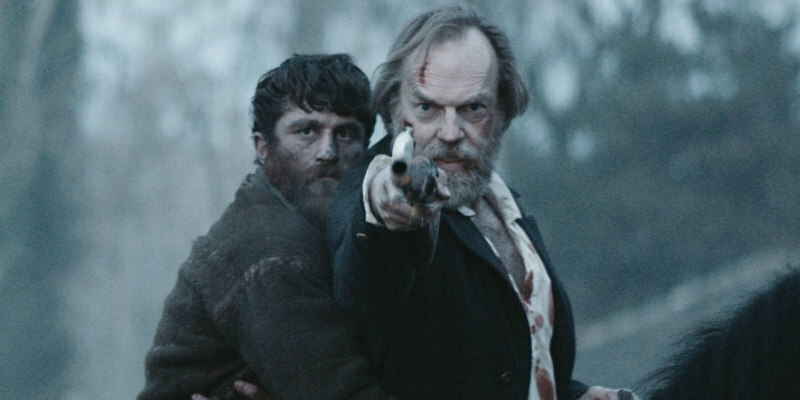 From Ireland comes writer/director Lance Daly's Black 47, a revenge drama set during the country's famine era. The cast includes Hugo Weaving, Barry Keoghan, Jim Broadbent, Stephen Rea, James Frecheville, Freddie Fox, Moe Dunford and Sarah Greene. 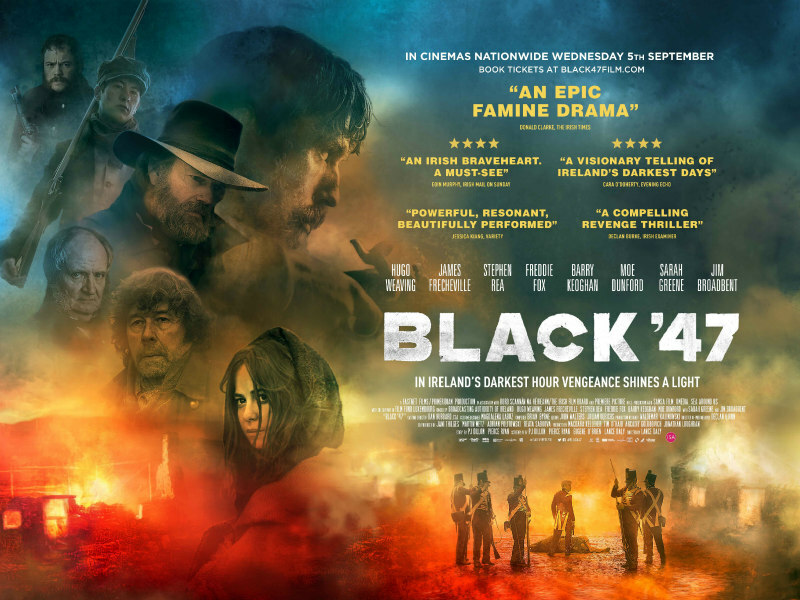 Black 47 is in Irish cinemas September 5th and UK cinemas September 28th.